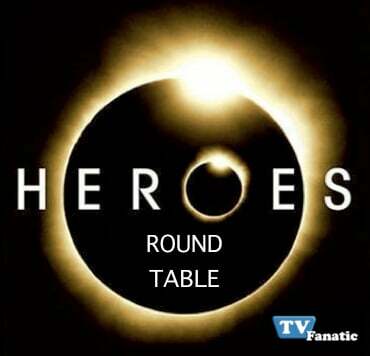 Heroes Round Table: "Upon This Rock; Let It Bleed"
What did you think of this week's episode of Heroes? As you might expect, the TV Fanatic staff was less than thrilled with a two-hour episode that barely moved the plot. Do we really not know Samuel's grand plan, with just five episodes remaining this season? M.L. House: My mother always taught me if you have nothing but insulting things to say about the demise of a character and the repetitive way in which a show has utterly destroyed what once made him great, don't say anything at all. Dr. Shepherd: At least Ando was able to interpret Hiro's ramblings, right? Makes this instance of his incoherent immaturity at least have a point, as opposed to when he thought he was 10 years old. The Barnacle: Can we even call this a storyline? The heretofore admirable character was featured for approximately 17 seconds, which are 17 seconds of my life I can never get back. What is Samuel's grand plan? M.L. House: I really can't believe the show has ruined the interesting character creator by Robert Knepper. The writers can't find the balance between keeping someone mysterious and moving a plot along. Seriously, what has changed with Samuel and the carnival since the season premiere? We STILL don't know what he actually has in mind and the season is over in a month! Dr. Shepherd: He wants to recruit a slew of Heroes for nefarious purposes. We don't need the exact plans yet. Sometimes it's better to show, not tell, and I've been intrigued by how well the series is dragging out this mystery. The Barnacle: I assume he's been recruited by Al Gore to save the environment and turn everything green, right? Who do you miss more: Parkman, Mohinder or Tracy? M.L. House: Tracy. They are all pointless, but I liked staring at her at least. Dr. Shepherd: Parkman. Greg Grunberg is one of the better actors on the show. The Barnacle: I miss chicken pox more than any of these characters. Do you want there to be a fifth season? M.L. House: Honestly, not really. I've lost faith that Tim Kring and company have a clue about how to write at this point. He's admitted in past interviews that characters have goten out of hand and he doesn't know how to write a plot-driven show. Seriously, THE CREATOR ADMITTED THIS! 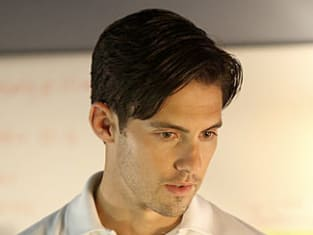 Every episode feels like a bunch of disconnected storylines - Peter is saving random people; Hiro is babbling; Claire is at the carnival; Mohinder is locked in a hospital - that may come together in some seemingly dramatic way at the very end... but that won't make up for a season's worth of nonsense. Dr. Shepherd: Yes. The show just needs to cut loose everyone except HRG, Peter, Angela and Claire. Keep the characters and storylines tighter and there's still hope. The Barnacle: Yes, under one condition: the show should follow the outline of 24. Each season, there's a new global or national threat and the heroes must band together and stop it, Jack Bauer style. It's an incredibly simple concept and is incomprehensible the series hasn't done this. Heroes Review: "Upon This Rock; Let It Bleed"